Tis the season to check out the Jersey Shore’s newest brewery! We’ve rented this joint out and we’ve filled it with food, brews, swag, and a ton of local surfers and activists. 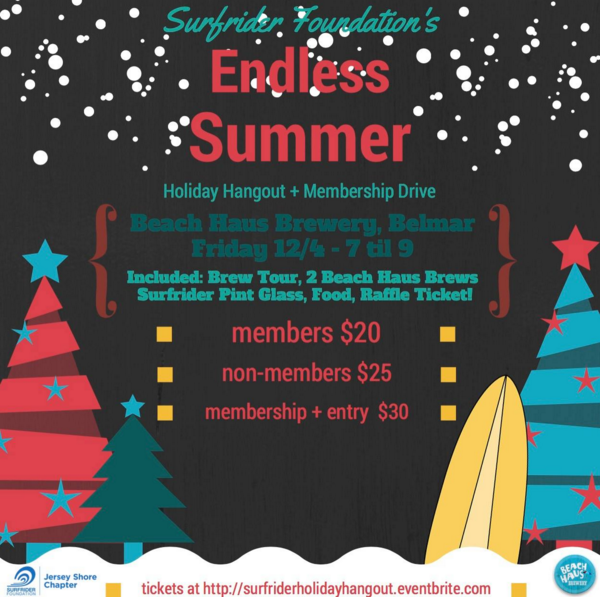 Your entry fee gets you two drinks, chances to win some prizes, a hot buffet, a tour of the brewery, and a chance to talk surf with the best of them. We will also have live music! Memberships are a great gift for the holidays, and there’s no better time to become one yourself! So come out for a great happy hour and an even better cause. We’ll see you there!